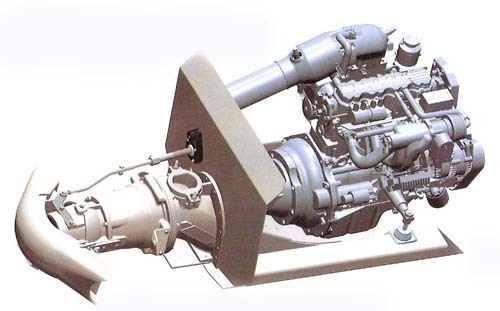 Least expensive of American Turbine's line. 17-PH stainless steel pump shaft. For boats up to 6500 pounds all up weight. Engine and jet sit back as much as 8 inches farther back for more interior room. Bearing housing held on with six bolts instead of four to better support the rear of the engine. Completely sealed bearing housing water can't come in around the driveshaft. A larger thrust bearing 35% more load capacity. Mechanical pump shaft seal never needs adjusting. Tapered wear ring for infinite adjustment. Secondary wear ring on the rear of the impeller to prevent bowl cavitaiton. Jet will accept the 10” impeller. Standard with Best nozzle, available HTR ll. Transom flange cast into suction housing, no need to make plates. Transom flange bolts to transom so the integrity of the transom is increased. Water off-takes are piped through the transom flange with a hose barb requiring less rigging time. Hand hole cover outside of transom for easier access. Will not over heat your engine at an idle. Engine and jet sit four inches farther back for more interior room. Mechanical pump shaft seal, never needs adjusting. Ball and socket type steering kit, easier and quicker to center steering wheel and much nicer looking than two nuts and a piece of rubber hose. Intake flange twice as thick for added strength. Shouldered wear ring prevents cavitation . High flow nozzle assembly with pressure sealed TFE o-ring that does not leak after a few hours. Nozzle inserts to fine tune your boat for optimum take-off and top speed or part throttle fuel economy. i.e. smaller nozzle, higher pressure, better take-off and top speed, larger nozzle better cruise.